All locations will be closed on Easter Sunday. Reopening Monday at 9am. Now with 3 Convenient Locations! I have been in here several times as my family doctor is located in Springfield. I have always had an excellent experience. Highly recommend. Excellent service! Will go again, if needed of course! Friendly staff who really care about your health. I cannot say enough wonderful things about this place: from the staff, the cleanliness, the professional attitudes, the no-wait time, the kind and caring Dr. Toofan, to the sticker on the way out... excellent! Very impressed. Love love this place!! I have been taking my daughter here when she is sick since she was 3 months old! They give me what I need and if you don't need it they don't! I trust them very much! This place is a lot more money then other places in regards to my insurance coverage, but you can't buy trust! I can't give enough stars to this AMAZING place! We got in and out within 30 minutes. Staff was so polite and nice. Dr. Beth was great with my little one. Not only was our experience in the facility a great one, but Dr. Beth personally called me the next day to check on my Baby. That meant a lot to me. I have a hard time trusting Drs that aren't our regular one, but I definitely will be revisiting here if ever needed. I just left here and although I'm sick with BRONCHITIS my soul was happy to have Dr. Toofan, Paul MD as my provider today. He was very attentive and friendly. The staff was also amazingly friendly. The facility is absolutely gorgeous for an express care clinic!!! Very friendly, fast and thorough!! Thank you very much! 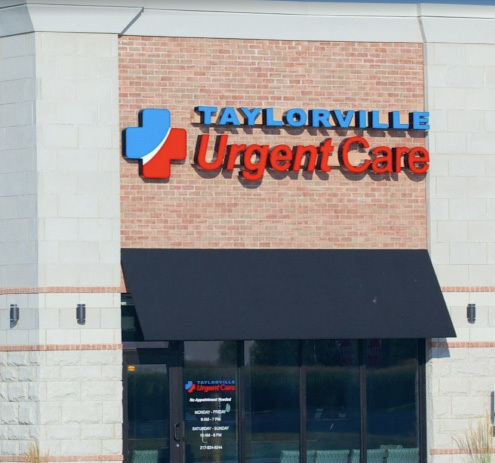 Every experience my family has had at Taylorville Urgent Care has been great. Friendly and professional. Quick responses and I think the follow up is wonderful. So pleased to have this resource in our town. Thank you especially to Angie A! Fast and friendly, the NP was awesome, highly recommend this place! Dr. Toofan is awesome! It was nice to see a doctor that is involved with his office! Excellent Care! Very friendly staff!! The doctor was wonderful!! Completely satisfied with our experience!! In and out in no time!! I believe this was the easiest and best trip for care we have experienced!! I think everyone in Taylorville should check this place out when they need care!! You won't be sorry!! I hope you advertise what can be done here a lot more so we keep this wonderful facility in Taylorville!!!! My little one was sick, whilst we were out of town on a Sunday. I had seen this Urgent Care from the interstate & decided to see if they were open. They were & even opened the door a few min. early to let us in. The office was clean, & the staff was very kind & courteous. Dr. Toofan was great with my daughter (he has kids) & got us in and out very quickly. They had her RX available there, if we didn't want to go to a pharmacy. Having just received a call (just over 24 hours from the initial visit) from the Dr. (not from the receptionist or even a nurse) to see how things were going, I felt that a review was definitely deserved. 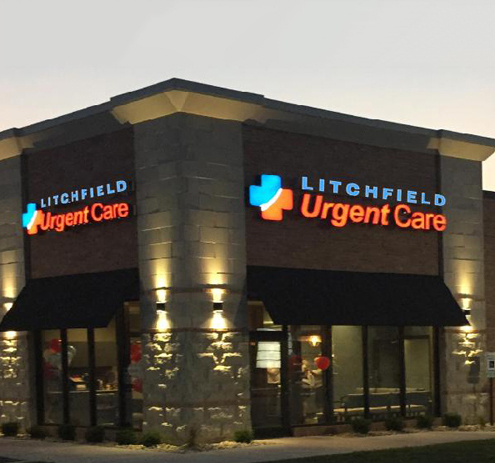 This is exactly what an Urgent Care should be! I prefer Taylorville Urgent Care over the ER. You are greeted the second you come through the door and I have never had to wait longer than 5 minutes, if that to be seen. The staff is very friendly, well experienced, professional, and knowledgeable. They are very thorough in their workup and treatment of your health issue. Further, medial supplies, if needed, are provided for your injuries that the hospital will not provide. The staff seems to be genuinely concerned about providing the best care possible. I consider this service to be state of the art. I'm extremely happy they are here. This care facility is definitely an asset to Taylorville. Thank you Bethany for your help today! The options of getting prescriptions filled there was definitely cheaper on me. The staff was all great as well this was my first visit. The nurses super awesome and friendly to us!!! 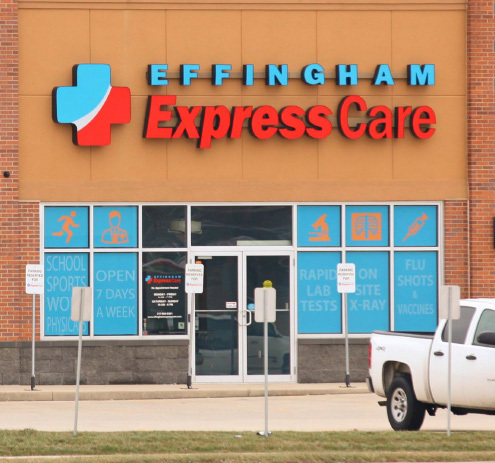 Copyright © 2019 effinghamexpresscare.com. All Rights Reserved.